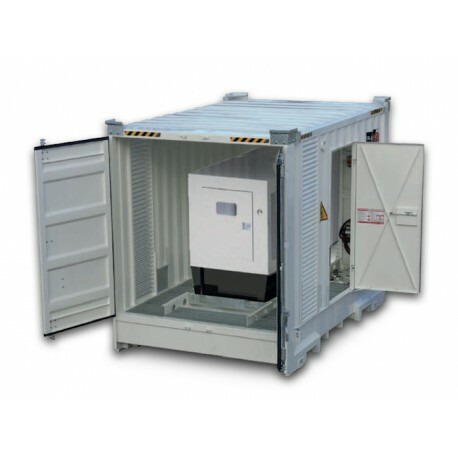 Heavy duty container designed to house generator ranging from 50-100 kva. 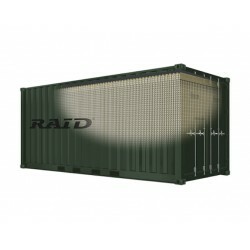 Secured container complete with transport approved, bunded 2,000 litre fuel tank, with lockable end doors for generator installation and side entry access. 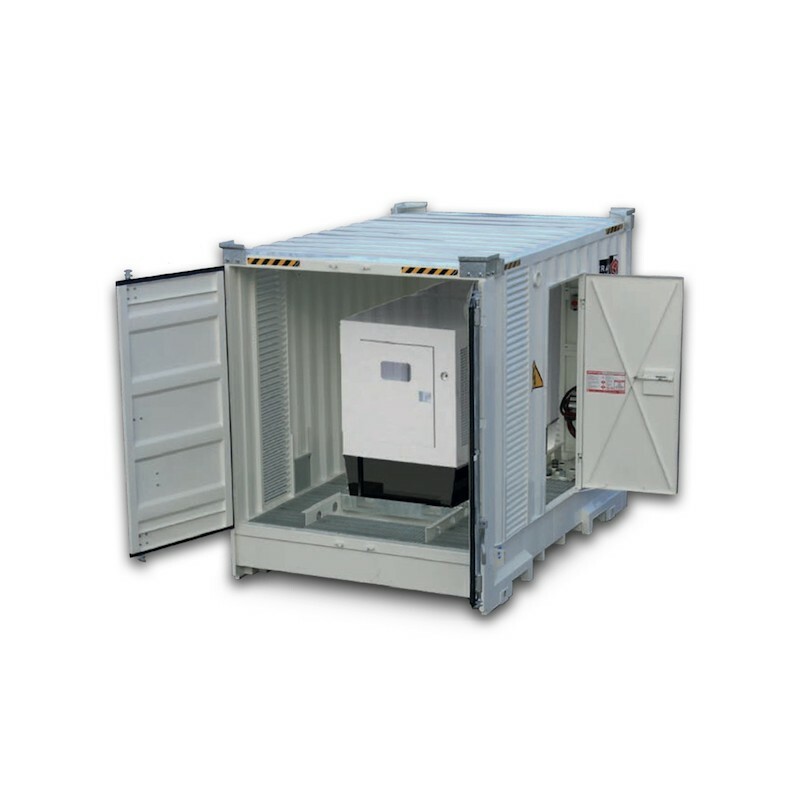 The Western Global GEN-series Generator Container protects your investment and offers peace of mind. Stops theft of fuel and vandalism. 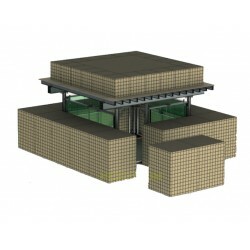 Quality steel means build provides a longer lasting tank, providing a higher ROI. Space saving, all in one tank - generator and base tank. Environmental advantages, as spills are contained. 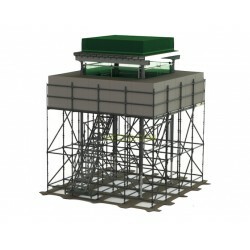 Full load lifting eyes accessible from ground level for safe loading without using ladders. Louvre type air vents for adequate generator ventilation. 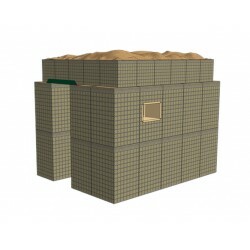 Stacking corners for efficient generator yard storage. Fork lifting provision from both sides. ISO base blocks for safe and easy transport fixing. CSC 10’ dimensions. UN approved fuel tank for safe transport of fuel on the EU highways. Bunded design is fully compliant with PPG2 Pollution Prevention Guidelines. Tank comes with fill point, feed and return, Rochester gauge and extra sockets for electronic monitoring. Galvanised tread mesh around generator. 11. Painted RAL 9010 White.